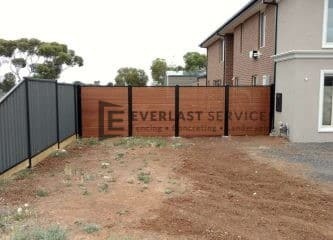 Everlast Services (formerly known as Everlast Fencing) is capable of taking on even the largest of residential fencing projects. 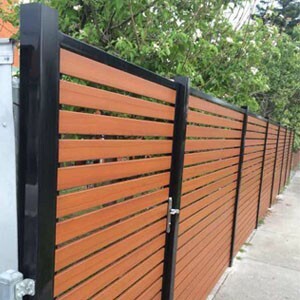 Our team is experienced in a variety of fencing solutions and our 20 years of experience in the industry means we can tackle any job no matter how complicated. This particular job in Balwyn was a challenging one. 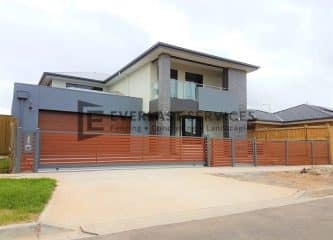 It required a large, 2.1-meter high fence to run the length of the front of the house and a huge, motorised sliding gate. The team has to employ all their expertise to create multiple stepping for the fence so it could match the ground as it sloped downhill. 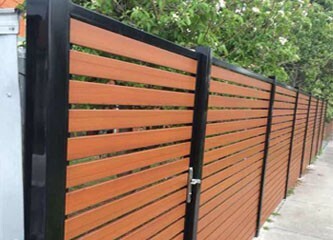 The client wanted western red cedar slats and we were able to provide this at a reduced cost thanks to the fantastic relationship we have built up with suppliers over the years. Everlast Services only uses quality products, so you can use the product you want for a fraction of the price. We love providing quality that is affordable and we are always happy when we can pass savings onto the customer. All the fabrication was done in house meaning we could provide an unbeatable quote. Our ability to handle the challenges of the job meant we were able to deliver everything exactly as we promised. 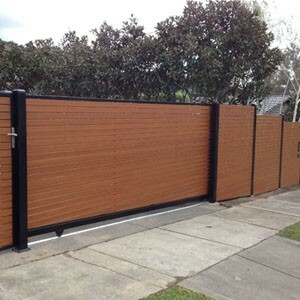 The fence matches the ground along its entire length and the motorised gate runs smoothly and quietly despite its size. During the completion of the job we picked up three more customers on the same street, proving how successfully we completed their job. 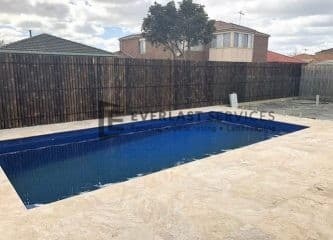 The clients were incredibly thankful for the work we did and loved their new fence, which they think has improved the outward aspect of their house dramatically.